There aren’t many women that are exfoliating their legs. They don’t see the importance of spending time with exfoliating their legs. For them this is a waste of time, and that it is only important to exfoliate their faces and necks. But most of the time this is just because they don’t know the importance of exfoliating their legs. If you wonder why so many women have beautiful legs and why they always show off their legs, then you know now. This is because they are exfoliating and moisturize their legs correctly. The moment that you know why and how to exfoliate your legs, you will understand why this is important. And, then you will also have legs to show off to other people. These are everything you might need to know about exfoliating your legs. Why should you exfoliate your legs? What method is the best to exfoliate your legs? Why should you exfoliate your legs? This is the first question that many women are asking because they don’t know why it is important. And, they don’t know the real meaning of exfoliating. Your legs have dead skin as well. And, in order to have smooth and beautiful skin, you need to exfoliate. The same goes for your legs. This is why your legs aren’t as smooth as the other women. This isn’t just because they were born with beautiful legs. You need to get rid of dead skin, even on your legs that you are shaving. Clean shave. If you don’t exfoliate your legs, you are clogging up your razer. And when you want to shave, you won’t get a clean cut. You will need to shave after a couple of days again. If you still didn’t exfoliate, the same thing is going to happen. Having beautiful legs isn’t the only reason why you should exfoliate your legs. There are other benefits of having legs that are getting exfoliated on a regular basis. The first benefit of exfoliating is that you are going to have healthy glowing skin. Not legs that are showing that they are desperately in need of some moisture. 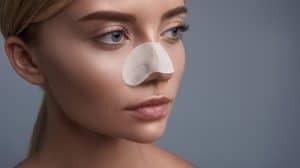 The other reason is that if you are exfoliating regularly, you will not struggle with hair that is growing inwards and causing pimple like spots. This is making any legs look unattractive and you will not like it either. When you are exfoliating, this is something that won’t happen. The one benefit that every woman would like. When you are exfoliating, your tan will look better and will absorb a lot easier and better. It will also absorb your moisturizer a lot better and it will look smooth for a much longer time. If you are struggling with skin problems or blood circulation in your legs, exfoliating will help with these conditions. Improving it and making sure that your legs are healthier than before. There are different methods that you can use to exfoliate your legs. Different methods are working for different people. You need to make sure that you know what the best option is to exfoliate your legs. You can use the chemicals for exfoliating, or you can use the brush. But which method is the best one to use? If you want to make sure that you are exfoliating your legs correct, then you should make sure that you are doing both. You are firstly using the brush, to brush away all the dead skin. Then, you can use your favorite exfoliating products to exfoliate your legs further. When you are done, you should moisturize your legs with a high-quality moisturizer. This will ensure that you are replacing the moisture that you just brushed off. There are different methods, but this is the best one for getting the best results. There are also some beauty salons available that are giving you the right exfoliating treatment. However, this isn’t something that every person can afford going for this treatment every week or every second week. And, then you might need to do your own exfoliating. The mentioned method is going to be the best method for home treatments. Another question that many people are asking is if you should exfoliate your legs before or after you have shaved. Many are saying that shaving is a method of exfoliating, and this is why you don’t need to exfoliate all the time. However, this isn’t the truth. You need to make sure that you are exfoliating your legs before you shave. Not only will this make the hair on your legs softer, but it will give you a much cleaner shave. You just moisturize after shaving, and not just after exfoliating. The other reason why you might want to exfoliate before shaving is because the dead skin on your legs is going to clog up your razor. Meaning that you will need to purchase new razers all the time. And, your legs will never be as smooth as other women that is shaving after exfoliating. If you are exfoliating before shaving, you still follow the same method. You can use the chemicals alone, or you can just use the brush alone. The best method is to use them bother as earlier explained. When you are still new with exfoliating your legs, you might make a couple of mistakes. Mistakes that will not give you the results that you were hoping for. The only way that you can make sure that you don’t make exfoliating mistakes, is if you know the mistakes that other people are making. Then, you will be able to avoid these mistakes. Forget to moisturize after exfoliating. This is one of the biggest mistakes that women can make. They are doing the whole exfoliating correctly, but they forget to moisturize afterward. This is going to result in you having legs that are going to be dry and cracked. The second mistake is that women think that you need to be a certain age before exfoliating is important. The sooner you start with exfoliating, the better the results are going to be. You don’t need to wait for a certain age before you can exfoliate. The sooner you start the better. The third mistake is that you are only exfoliating your legs once a month or once in a couple of months. You are supposed to exfoliate every time before you are shaving your legs. This is so that you are getting the best results from exfoliating and from shaving. There are a couple of tips that you should know and consider when you start exfoliating your legs. This is to be able to get the best results. The first thing is the type of product that you are using. Especially if you have sensitive skin. You need to make sure that you are going to use a product that is designed for exfoliating. The brush that you are using for exfoliating should be soft as well. These hard brushes are causing more damage than anything else. It is best to exfoliate at night, before bedtime. When you are exfoliating, your skin is more sensitive to sunlight. Meaning that you will get sunburn a lot easier. Before bedtime, your skin is getting some time to heal before you are going out in the sun. Exfoliating isn’t something that you should do every day. It is always best to do it once a week or every second week for the best results. Your skin needs to recover before you can exfoliate again. It is important to make sure that you are using the best products that you can find. Especially, if you have sensitive skin and you need to be careful about the products that you should use. These are some of the exfoliating products that you can use for your legs for the best results. These are known as the best products on the market. This is pure and an all natural body scrub that is also ideal for exfoliating your legs. Made from Arabica coffee, Coconut extract, and shea butter. This isn’t just a body scrub, it is also ideal for an anti-cellulite scrub. This is known as one of the best exfoliating scrubs for your legs, and other skin parts. The all-natural ingredients are making sure that you don’t damage your skin. Especially, when it comes to your sensitive skin. In fact, this is recommended for sensitive skin. The Bikini soft coconut oil and sugar perfect shave set are more than just another exfoliating scrub for your legs. This is a complete exfoliating scrub for all the areas that you are shaving. From underneath your arms, your legs, and even your bikini line. This ensures that you don’t get any skin damage during the shave. All the ingredients are all natural and organic. Meaning that you don’t put any harmful chemicals onto your skin. And, it ensures that the exfoliating is getting done without damaging your skin as well. The Majestic pure Himalayan salt body scrub is another body scrub that is all natural and chemical-free scrub. Himalayan salt is beneficial to the skin, and this is exactly why this exfoliating scrub is so great. It is a great source of vitamin C and will be great on all skin types. You are going to get a better exfoliating experience with this scrub. This is because it is offering more than just exfoliating, but also offer a skin detox as well. This is a product that isn’t tested on animals. It can be used on your face, body, and legs as an exfoliating scrub. Making sure that you are getting your legs to exfoliate without damaging the skin in any way. For those people that are making use of an exfoliating brush. This is the exfoliating gloves body scrub and for sure soft enough for your face and legs. This is much more recommended and easier to use than the normal brushes that people are using for exfoliating. This glove is getting rid of dead skin cells in no time. It is durable and can be used for a long time. You don’t need to purchase a new glove each and every month. This is a full body scrub and is ideal from your face to your legs. You can use the glove with the other exfoliating products, but then you should be careful that you don’t scrub too hard. This can damage the skin. We all know how beneficial activated charcoal is. And, with this scrub, the basic ingredient is activated charcoal. This is the new and improved formula that is even more beneficial to your body. This is more than just another exfoliating scrub. This is a product that is getting rid of all types of skin problems and will be a deep cleansing as well. This is known as one of the best exfoliating scrubs that you can use for your face and your body. Because of the natural ingredients, there isn’t any damage done to your skin. In fact, activated charcoal is great for even sensitive skins. Exfoliating your legs. Is this something that is really important? 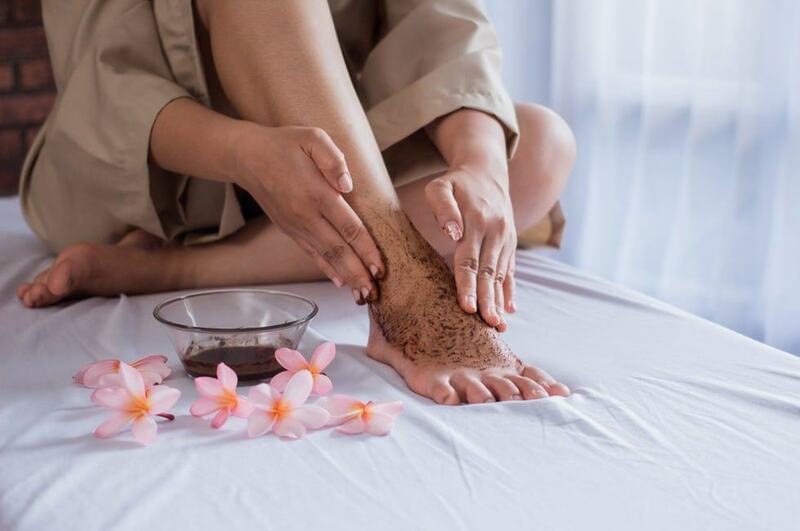 With all this information, you will know that if you want to have great looking legs that are healthy and smooth, then you should make sure that you are exfoliating before you shave. This might be the only thing that your legs short, in order to have the best looking, smooth legs that you can show off to friends and family. The only secret is that you should use the right method and that you are using the right products as well.